Following your trip through Namibia or South Africa, this 5-day add-on trip enables you to visit two additional highlights of Southern Africa. 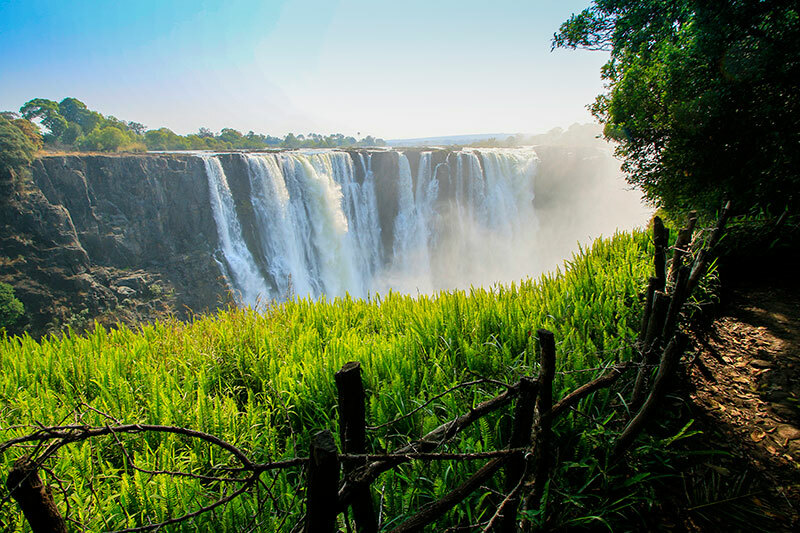 You will get to see the well-known Victoria Falls in Zimbabwe as well as the famous Chobe National Park, where you will enjoy fantastic game viewing opportunities. Upon your arrival in Victoria Falls you will be welcomed by your transfer driver. A short drive will take you to your accommodation of choice, where the rest of the day is at leisure. You will have time to visit the close-by Victoria Falls. 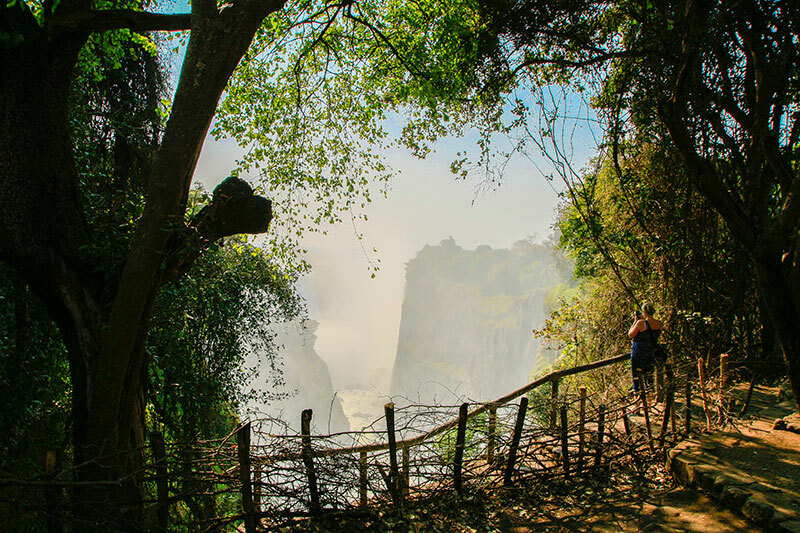 It is here at the border between Zimbabwe and Zambia where the Zambezi River cascades approximately 110 m – a breath-taking view. It’s not for nothing that the Victoria Falls are known as ‘Mosi oa Tunya’ or smoke that thunders. The spray that emerges from the gigantic amounts of thundering water can reach up to 30 m and is visible from afar. You will spend the night at the Ilala Lodge (standard version) or the Elephant Camp (luxury version). Should you not have visited the Victoria Falls yesterday, you still have time to do so this morning. 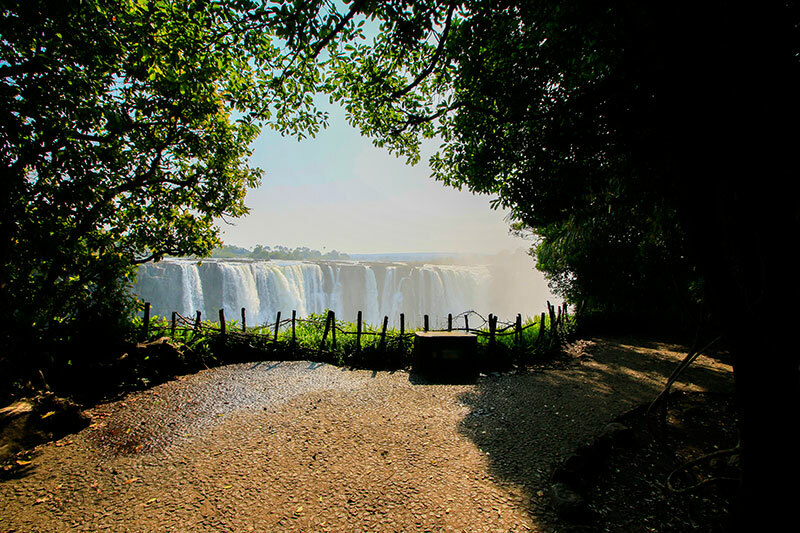 Furthermore you can explore the small town of Victoria Falls with its small shops and the wood carving market. In addition thereto there are various activities on offer and you can go white water rafting or bungee jumping or simply enjoy a river cruise on the Zambezi River. Flights over the falls and elephant interactions are also available. You will spend another night at the Ilala Lodge (standard version) or the Elephant Camp (luxury version). After a leisurely breakfast you are picked up and taken across the border to Kasane. 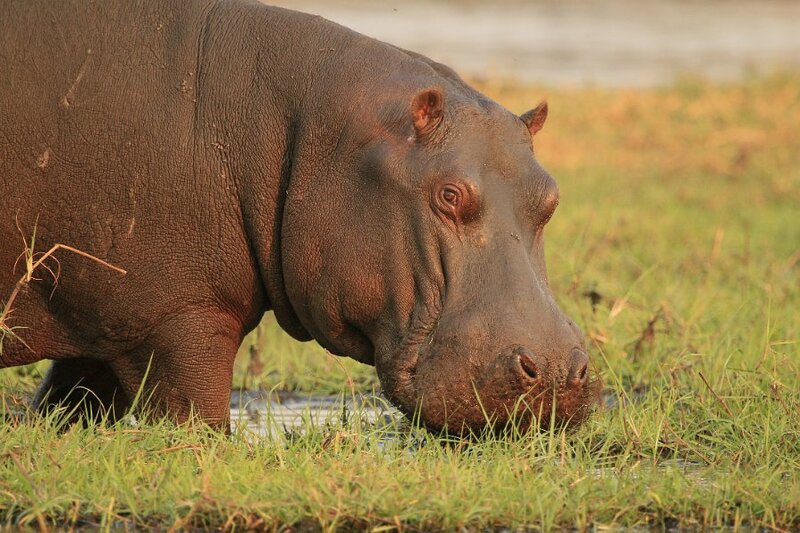 You will make your way to your accommodation on the western border of the Chobe National Park. Your accommodation for the next two nights is set amid the African Wilderness and offers peace and comfort as well as breath-taking views of the Chobe River. 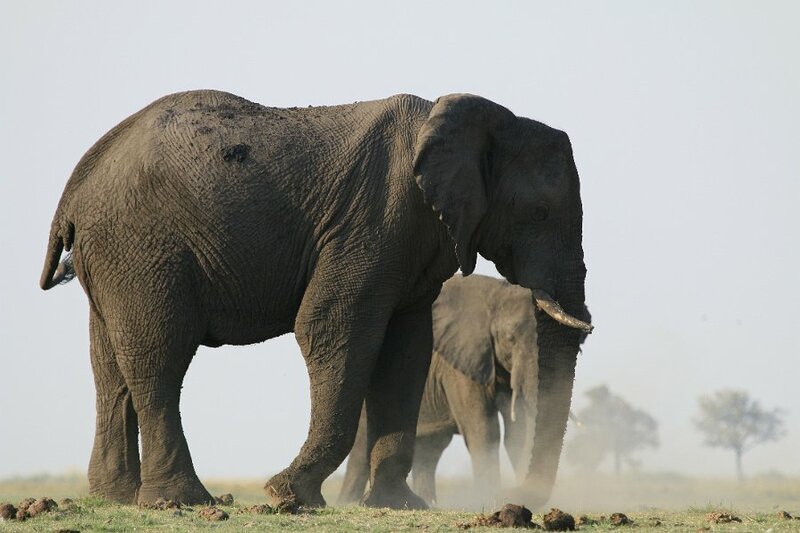 After lunch you will go on your first game drive in the Chobe National Park. The park is considered as one of the scenically most attractive parks in Southern Africa and it is well known for its large elephant herds. 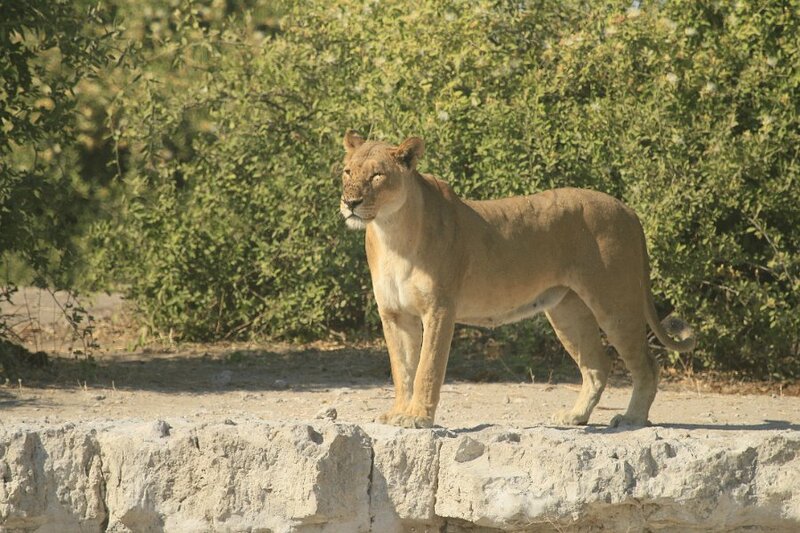 Game viewing in the region along the Chobe River is possible all year round but is especially good in the dry season. You will spend the night at the Chobe Elephant Camp (standard version) or at the Ngoma Safari Lodge (luxury version). 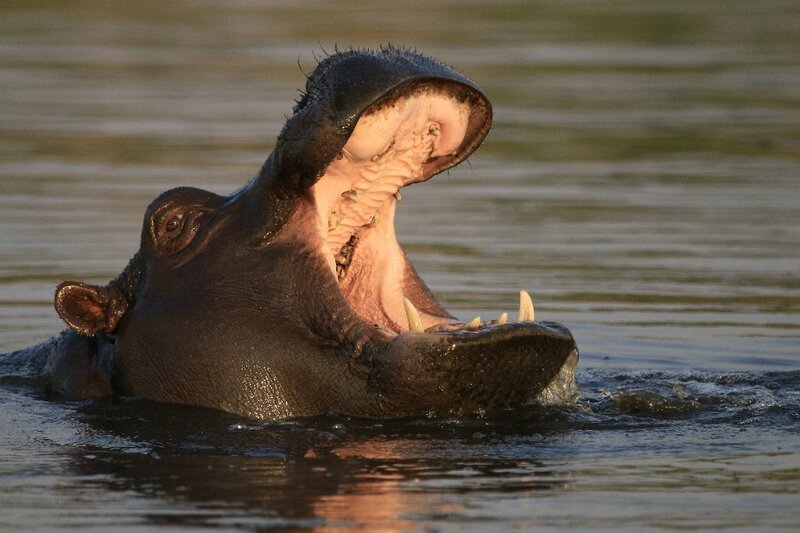 The entire day is set aside to explore the Chobe National Park. In the morning and late afternoon you will join game drives in open safari vehicles, accompanied by experienced guides. Alternatively you can go on a river cruise to watch animals flocking to the river for water. During a bush walk you will have the opportunity to spot plants and other small details which are often missed on game drives. You will also have the chance to visit a nearby village to learn more about the life of the locals. You will spend another night at the Chobe Elephant Camp (standard version) or Ngoma Safari Lodge (luxury version). If time allows, you will enjoy one last game viewing activity followed by breakfast. Thereafter you are taken to Kasane Airport for your homeward journey. Alternatively we can also arrange for a transfer back to Victoria Falls Airport (at additional cost). This add-on can be perfectly combined with our self-drive tours and roundtrips of Namibia and South Africa. It goes without saying that this tour can be changed according to your desires and should you prefer alternative accommodation, please let us know so we can send you a respective proposal.